If you could design the perfect work environment, what would it include? A never-ending snack bar? A quiet room with hammocks for napping? How about a policy encouraging you to bring your dog to work? Some during the day and are providing the space to make it happen. Employees say it reduces stress, gives them something to talk about with fellow employees, and is a good excuse to take fresh air breaks rather than smoke breaks. 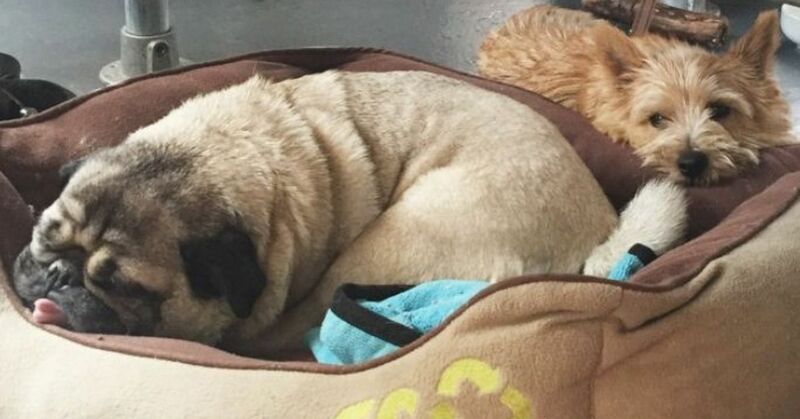 Here are five companies that allow and encourage employees to bring their dogs to work. 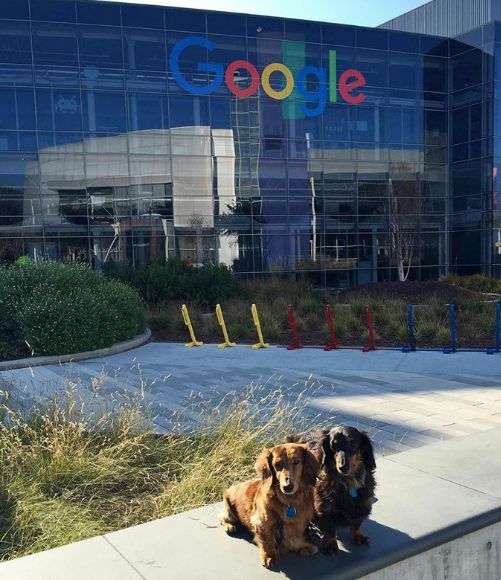 Google, based in Mountain View, California, loves dogs and welcomes them at work. It's even written into the employee handbook: "Google’s affection for our canine friends is an integral facet of our corporate culture." As for the dogs, the only rule for them is "no peeing on the carpets," according to Meghan Casserly, corporate communications manager. 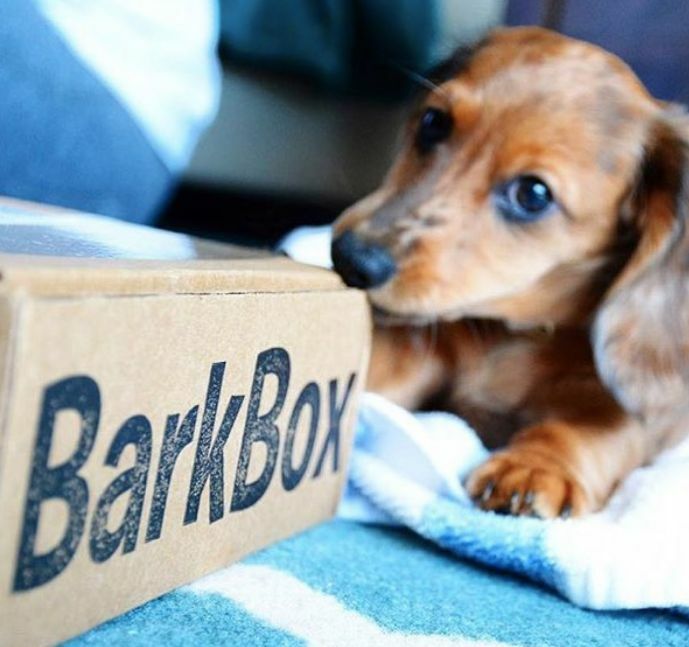 Bark & Co. is a company in New York that specializes in creating products for dogs, so it's a natural that its office would allow dogs as de facto product testers. Safe to say that every product is Fido-approved before shipping. 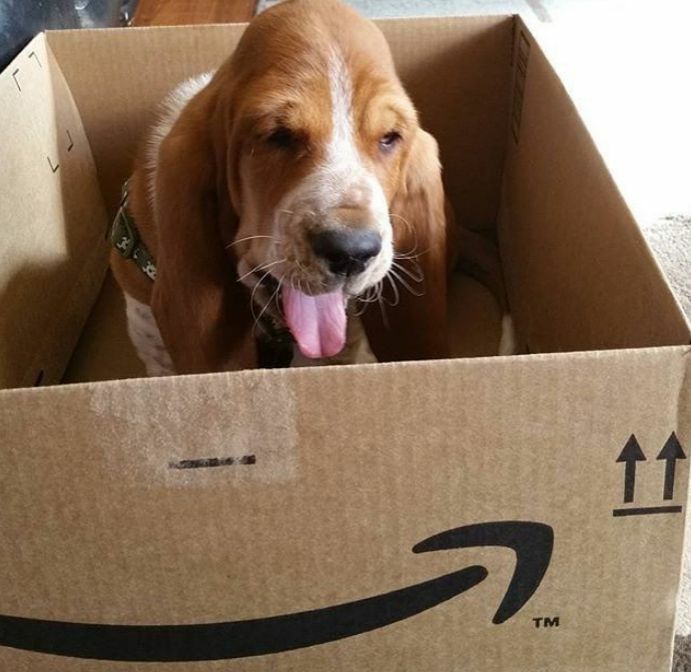 The Seattle-based online retail giant Amazon has plenty of cardboard boxes to keep puppies occupied. The campus in downtown Seattle features dog-friendly landscaping, poop bag stations and dog-level watering fountains. 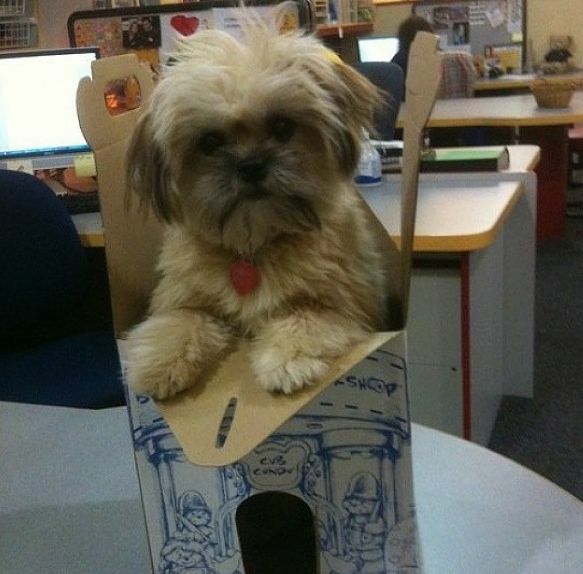 The receptionist even keeps a jar of dog treats on her desk. What goes together better on a summer day than dogs and ice cream? 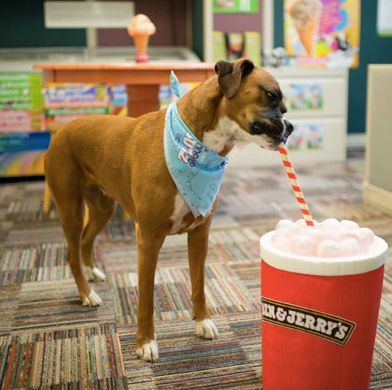 Make that Ben & Jerry's ice cream, as the South Burlington, Vermont, company calls its employees' canine companions K-9 to 5-ers. Customers are also welcome to bring their dogs to shop for cones or take-home treats. Employees at Build-A-Bear Workshop headquarters need to keep a close eye on their pups or they could be mistaken for cuddly stuffed animals. The headquarters, or "Bearquarters," in St. Louis, Missouri, hosts puppy parties and offers concierge service to transport dogs to pet spas or doggie daycamp.